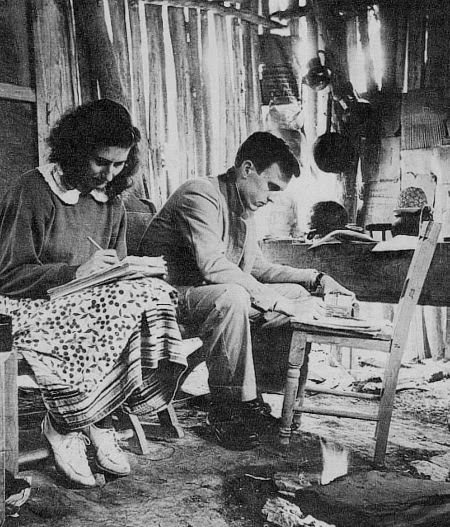 Grandma and Grandpa in their first house in the tribe in Ojitlan, Mexico. As I write this, my dear sweet grandmother is facing her last days. Three weeks ago on her 91st birthday, she had what we first thought was a mini stroke. But as the days in the hospital passed, grandma’s body grew weaker and weaker and she became less and less alert. 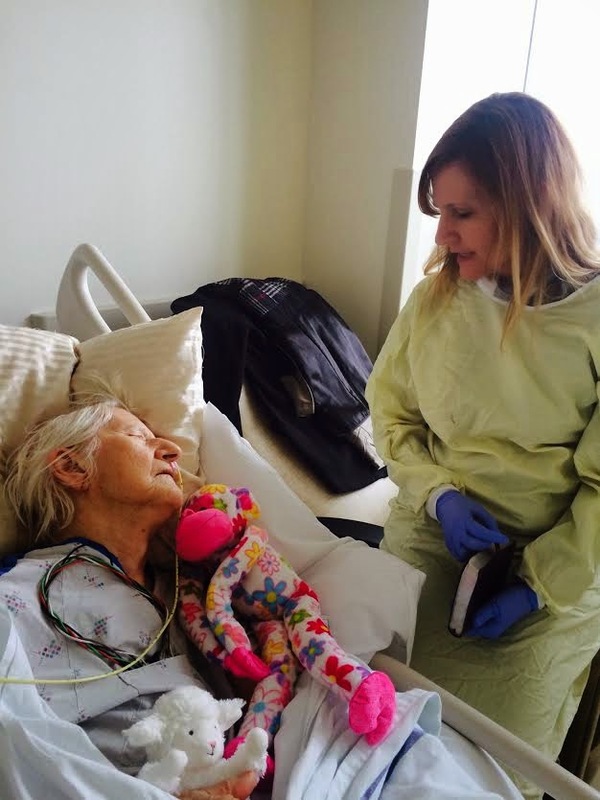 Today, she was moved out of the hospital into a hospice facility and we all are painfully aware that the time she has left on this earth is very short, though the impact she will leave is far from small. Allow me the privilege of sharing with you about this pioneer missionary woman’s fascinating life and commitment to God’s heart for the world. She and my grandfather, probably more than any other people in this world have given me a picture and a legacy of what a heart for the world looks like. My grandparents met in their mid-twenties at a Wycliffe Bible Translators Conference. She was planning to head to Peru as a single missionary, and he was headed for Mexico. Grandma remembers a fellow with a crew cut and heavy dark rimmed glasses who was wearing Mexican Huarache sandals that squeaked with every step as he walked about the back of the room. She wondered, “What is wrong with that guy? Can’t he just sit still and listen?” Little did she know that after just a few conversations with Paul, she would then receive a letter after the conference from him proposing marriage! My dear adventurous grandmother agreed to let Paul come up from Texas to Arkansas for a visit where they could discuss their possible future together. Little did she, or her mother know, that Paul had packed his suitcase and intended to move in until he received an answer! She said yes, and just two months later they were married, and less than a month later they entered Mexico headed to one of the most difficult tribes in the jungles of Mexico for Bible translation work! There they built a small dirt floored house, and later carried their two twin babies through the rugged jungle trails to live in that house. A dresser drawer served as a baby bed and the babies were hung in little hammocks in the house during the day. 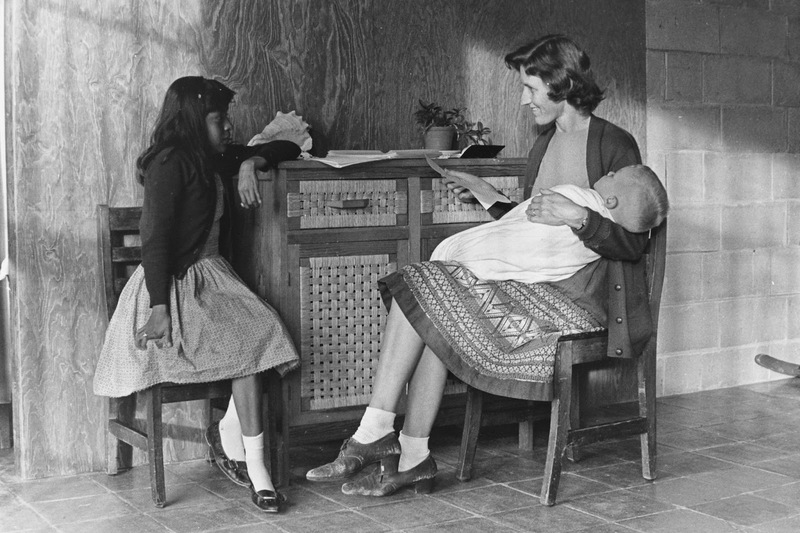 Translation work in Mexico continued while grandma kept having babies, 6 in all! They opened their lives and their home to the Chinantec, even welcoming an additional child into their home for a while who was dying of tuberculosis. Grandpa also served as an official Wycliffe photographer during these years, travelling throughout Central and South American and Vietnam taking pictures and video for the organization. I think of grandma holding down the fort with six little children in Mexico while grandpa went on all of his adventures! What a capable and brave woman she was! Finally, my grandparents finished their translation project in 15 years without the aid of computers! Grandma with Elena, who died of Tuberculosis. Leaving the tribe, my grandparents saw that though they had translated the Bible for the tribe; very few people could actually read it. So, they began recording Scriptures on cassette tape so that listeners could hear the gospel. They founded Bible Translations on Tape, and these recordings were made in many different languages and were sent all around the world. When Grandpa realized that batteries for cassette players were expensive and a hindrance to spreading these tapes, he determined to solve this problem as well and in 1974 invented the crank cassette player. At one time, Grandpa literally travelled around the world promoting the Bible translations on Tape and the crank cassette, leaving from the East coast of Florida, travelling to Ghana, India, Singapore, Hong Kong, and landing on the West coast in California. As Grandma struggles now in her hospital bed, I hate to see her suffering there. It is almost Easter. My grandmother loved Easter egg hunts. I remember that whenever we visited around Easter, Grandma always made sure her grandkids had a proper Easter egg hunt. I always thought it a bit funny for someone so “spiritual” to be so consistent in making sure the Easter egg hunt was a success. She was hiding plastic colorful and real dyed Easter eggs for us even when we were teenagers, and just a bit too old for it. But I wasn’t going to tell her that! It makes me smile. I know she firmly believes the promise of the resurrection, and that gives me hope. When I went to see her a few days after her initial stroke, she was unable to eat, unable to move very much and barely able to awaken. I sat beside her on the bed, and told her, “Grandma, I had a dream last night that you were jumping up and down and laughing on the bed!” She opened her eyes at me and whispered, “I just might surprise you.” Oh, my ever witty grandma, how I love you! I hope that this Easter, you will be jumping up and down for joy in the presence of Jesus! Thank you for passing your heart along. We will ever remember and be grateful. Postscript: I went to see my grandmother yesterday; I thanked her for her incredible life and example, and told her that I loved her. I don’t think I knew it was possible until last night to shed tears of both joy and sadness at the same time when I heard she went to be with Jesus. She is seeing her Savior face to face and I am so happy for her. Grandma just after she spoke to me.